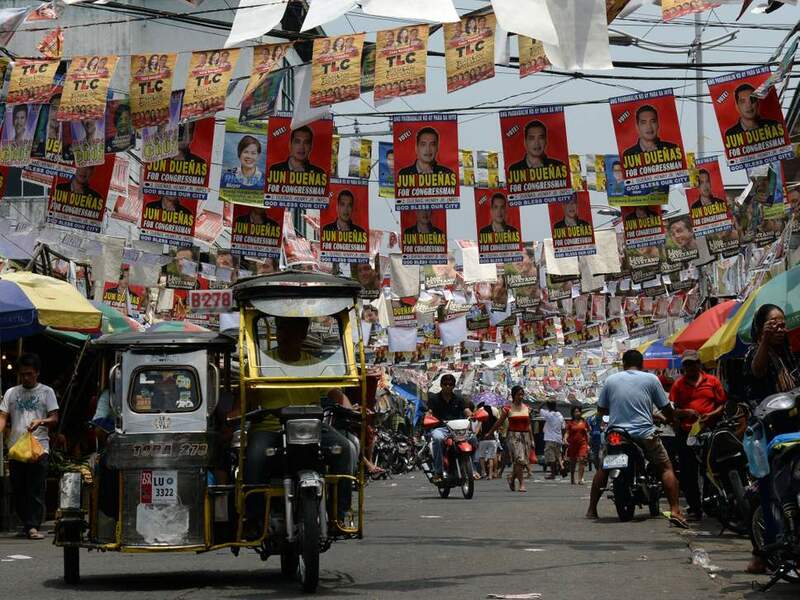 Election after election we hear the purported clamor of Filipinos for “change”: a radical transformation of our politics, where the government genuinely represents the interests of the many – the way a democracy should work. This “change” means having elected officials who are not part of established political dynasties, who have not been smeared by corruption scandals, and are elected based on their competence rather than name recognition. All of these are excellent standards for voting political candidates and if this is how majority of voters would vote, that elusive “change” we seek would eventually be achieved. However, if the recent poll survey results were to go by we can conclude that the appetite for “change” we Filipinos often talk about is nothing but a charade. Chel Diokno, a lifelong human rights activist and lawyer, advocates for judicial reform to ensure the law applies equally to all Filipinos, regardless of social status. Neri Colmenares, another lifelong activist and lawyer, pushes for improving workers’ rights by prohibiting the practice of “contractualization” and to improve the welfare of farmers. Samira Gutoc, a Filipino-Muslim civic leader, wants to expedite the rehabilitation of war-torn Marawi City to enable its residents to return to their ancestral homes. Those are only three examples of excellent candidates vying for a seat in the Senate in this year’s mid-term elections, and yet none of them are performing well in the election surveys released. Instead, the individuals who comprise the “Magic 12” – the dozen candidates with the highest number of votes and who will become Senators – are almost entirely either part of political dynasties, have been tainted by corruption scandals, or simply benefit from name-recognition for being prominent TV and movie actors. 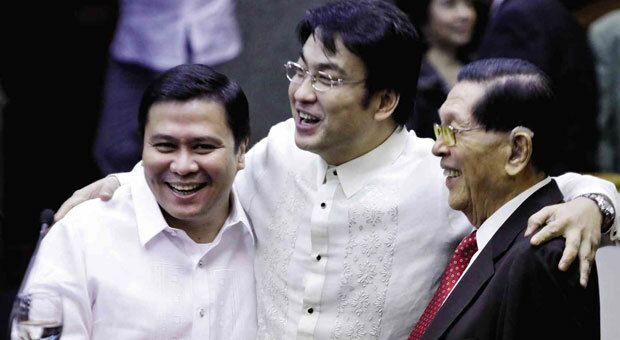 Bong Revilla Jr. belongs to all three categories: his father, Bong Sr., was also a former Senator and only retired when the former was elected to the upper chamber in 2004. He was implicated in the infamous “Pork Barrel Scam” of 2013, and was detained for allegedly pocketing more than Php1 billion in taxpayer funds for his own gain. The two Revilla patriarchs are not the only actors-turned-politicians in their clan: Junior’s wife – Lani Mercado – and son, Jolo, have both starred in numerous movies and TV series, and are elected public officials themselves. This makes the family a political dynasty, and most of their support-base is attributed to their status as celebrities. Despite ticking all three boxes of what Filipinos are allegedly tired of seeing in their politicians, Bong Jr. consistently polls safely inside the “Magic 12”. Very similar to Bong Jr. is Jinggoy Estrada, who himself is a former actor-turned-Senator, and was also a party in that 2013 scandal. He also benefits from being part of a prominent political dynasty – his father, Joseph Estrada, was a former President until ousted in a “people power” uprising and was later imprisoned on plunder charges. But the elder Estrada was not lonely in prison, having been joined by Jinggoy who himself was charged with corruption. Much like the Revillas, the Estrada clan also fit into all three criteria that Filipinos are allegedly tired of seeing in politics – and yet Jinggoy consistently polls inside the “Magic 12” for the 2019 mid-term election. 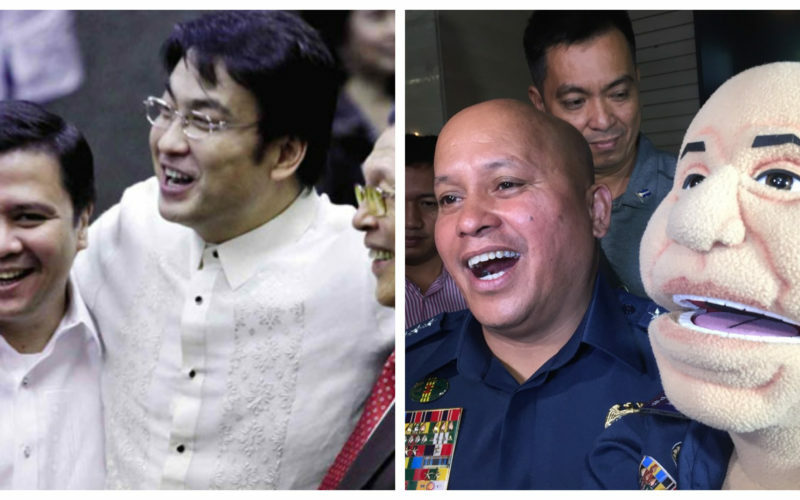 Both Revilla and Estrada have been outshone in the polling surveys by retired Police chief Ronald “Bato” dela Rosa, who polls in the upper-half of the “Magic 12” consistently. While Bato may not belong to a political dynasty nor having been a former actor, he nonetheless has been continuously exposed as lacking the necessary political acumen to become a competent Senator. His poor performance in televised candidates’ debates has subjected him to ridicule, and when asked what he can bring to the Senate he simply stated that he had a “clean heart” – admitting that he lacks knowledge of the economy or other relevant issues. However, Filipino voters are supposedly tired of seeing incompetent people being elected into office and Bato himself admits his ineptitude. Why then is he popular among these voters? 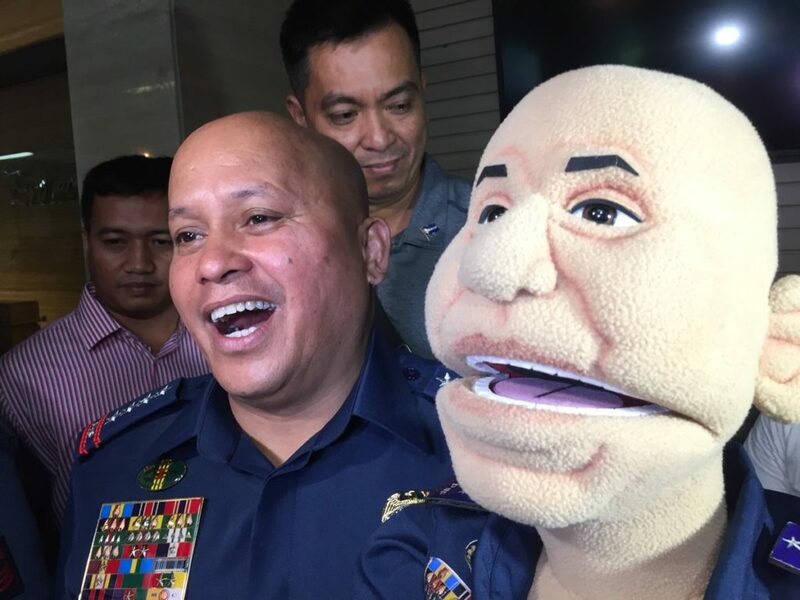 A PUPPET AND A MUPPET: “Bato” dela Rosa (left) holding a puppet resembling himself. Other names who make the “Magic 12” are: Grace Poe, Cynthia Villar, Sonny Angara, Pia Cayetano, Nancy Binay and Imee Marcos – all are part of established political dynasties, and Bong Go, who is in the same boat of incompetence that Bato is in – his only prior experience is being President Duterte’s personal aide. In fact, the only name included in the “Magic 12” who does not belong to a political dynasty, is not a former or current celebrity, and has not been implicated in any corruption scandal is Francis Tolentino – and yet he polls in the low end of the top 12, usually at 12th place or sometimes down to 13th. This contradiction makes the notion that Filipinos want political “change” farcical, majority of voters desire a transformation of the political class and yet elect the same tried, tested and failed names of the past. If the definition of “insanity” is doing the same thing repeatedly expecting different results, then we can safely diagnose the majority of Filipino voters as being politically insane. How long will we keep fooling ourselves that we want “change”, when it is clear in successive elections that we are content with the ruling political elites? Perhaps we need to cut the charade and accept that the “TraPos” (traditional politicians) we pretend to dislike are actually who we want ruling over us.